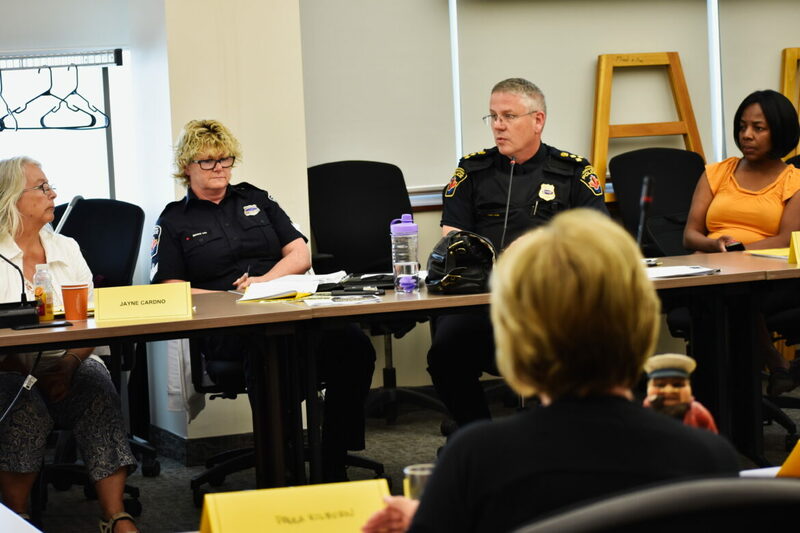 The Advisory Committee for Persons with Disabilities met Tuesday to discuss policing matters with Hamilton Police Service Chief of Police Eric Girt and discussed the streetscape designed planned for the LRT project, with staff presenting specific plans for the International Village. Chief Girt conducted a question and answer with members of the ACPD regarding policing and how the Hamilton Police Service can be serve individuals with disabilities. He says the Police Service now offers text-to-911 for people who are Deaf, Deafened, Hard of Hearing, or Speech Impaired. The person still calls 9-1-1 on their cell phone, and the operator is given a notice that the person requires assistance via text message. Asked when the person must call instead of texting, Chief Girt explained the 9-1-1 system operates on calls, and the operator benefits from being able to hear what is happening on the other end of the phone. Many members of the ACPD asked Chief Girt questions about police responses to situations in social housing buildings, due to the limited supply of accessible housing units – many of which are in social housing – many ACPD members live in CityHousing buildings. A member with a visual disability asked how those who cannot see can identify a police officer, and ensure they do not fall victim to a person impersonating a police officer. When asked about responding to an command to “open up”, Girt said to tell the officer to wait while calling police. Girt explained “Unless I have a warrant to kick the door down, which is unlikely, because we have to have certain to do it with force”. Girt was asked if the service had thought about braille identification cards, he noted that would require opening the door to pass. He emphasis that none of his officers would tell someone to not call police dispatch. Girt spoke with the Committee for around 45 minutes. Due to the Chief’s availability, the ACPD passed their working group reports without discussion. Among the items, the ACPD Built Advisory Working Group wishes for the City to create a list of accessible public washrooms across Hamilton.